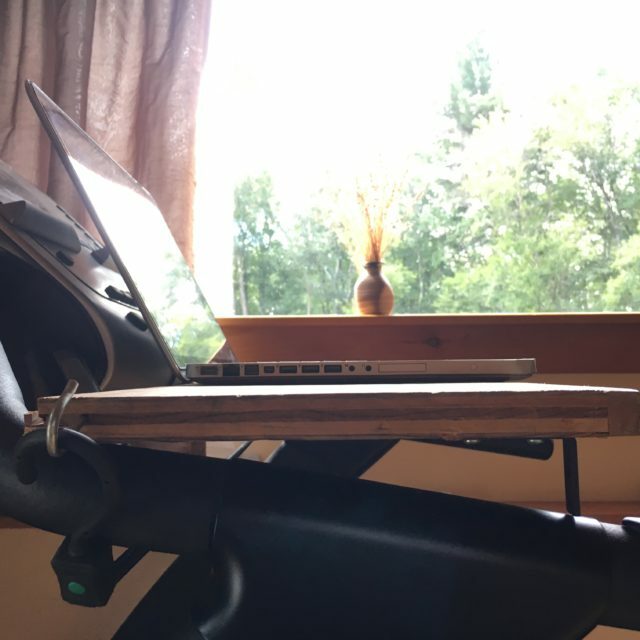 I’ve replaced my treadmill desk with a simpler, cheaper, and better alternative! 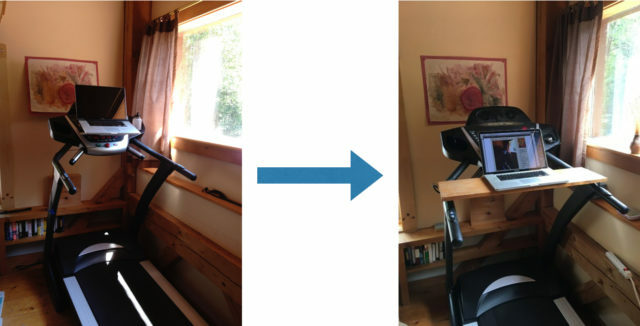 Five years ago I shared my initial and follow-up experiences with a treadmill desk. Since then I’ve walked over 1,600 miles while working, and have seen a clear correlation between my general level of wellbeing and regular use of my walking desk for (typically) a couple of hours a day. Last week, however, I noticed that my upper arms were aching after using my desk. After a few days experimenting, I realized that the height of the commercial plastic shelf I’ve been using since 2012 was causing my shoulders and upper arms to tense up while typing, leading to the achiness. Though this hadn’t happened before, I’m getting older and creakier and I needed to do something if I was going to continue to reap the benefits of my walking-while-working routine. Googling “DIY treadmill desk” led me to the post How to Build a Treadmill Desk for Under $20! which acknowledges the original inspiration of Super Cheap DIY Treadmill Desk. Both articles described a simple, cheaper, and better solution to my problem. Simple, because I could quickly build a better shelf myself. is twice as wide as the old one, giving me a place to rest reference materials right next to my keyboard while writing. Materials: a piece of plywood, two brackets, four screws, two hooks, one bungee cord. Tools: saw, tape, pencil, screwdriver. Here’s the side view of my finished shelf. The brackets were only needed because my treadmill’s arms have a gentle slope. Some treadmills have horizontal arms, making construction even easier. Construction is so simple that these pictures and the referenced articles should contain all the information you need. Though I don’t regret purchasing my (now discontinued) commercial shelf in 2012, this homemade version is a great improvement. If you have a home or office treadmill and want to work while walking, this is the way to go! Can we do better than novelty at our meetings? Novelty has its place in meetings. The latest cocktail. The hot new band. The color of the year. 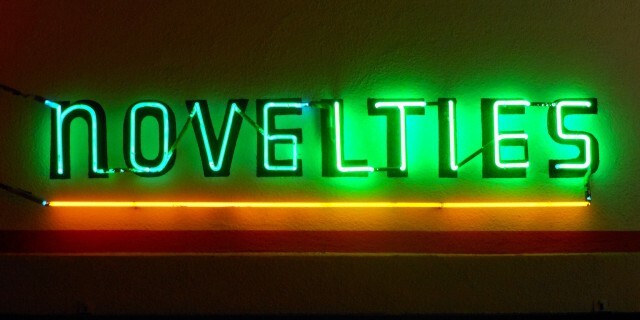 But novelty doesn’t have lasting impact. The first time, it’s an enjoyable transient experience. The next time it’s old. Better however is a whole different kettle of fish. Better lasts. Better has long-term value. So don’t fob off your meeting attendees event after event with an ever-changing stream of “new” or “different”. Go for better. You can reuse better over and over again—and your attendees will appreciate it every single time! Yes, better is very hard. But it’s worth it. Reading [Adrian Segar’s Conferences That Work] blog has made me come to realize that when it comes to meetings, less is very often more.